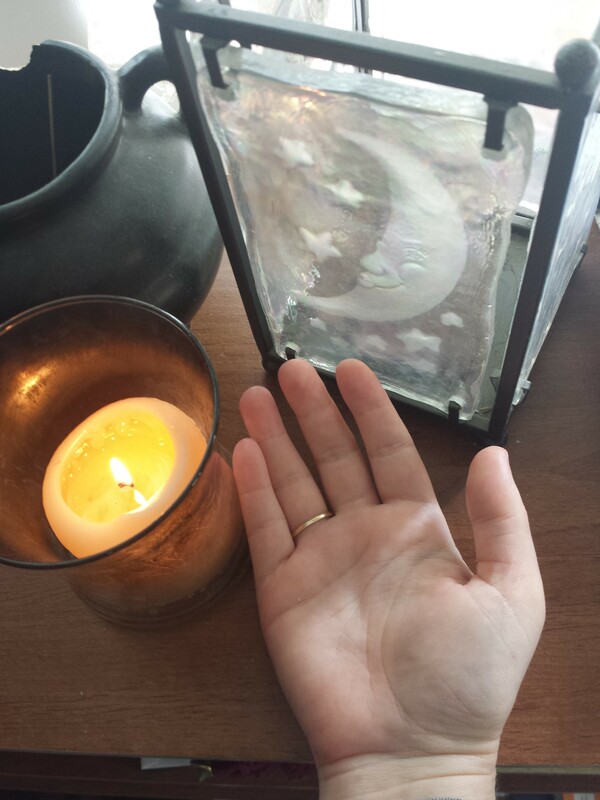 AMBER LOVE 20-MAY-2015 Years ago, I had a basic understanding of palm reading from one of the eras of my life where I saturated my brain in occult studies. I hadn’t been near the subject of palmistry for quite a long time until this year’s Steampunk World’s Fair in New Jersey. 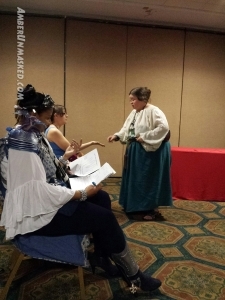 Palm reader and author, Cathy Kane, presented a lecture on the the craft for about an hour as part of The Nightshade Society: Dark Victoriana tract of the convention. Like the other Nightshade lectures, this was in Salon D of the Radisson Hotel where Kane presented her subject to 50-60 audience members. 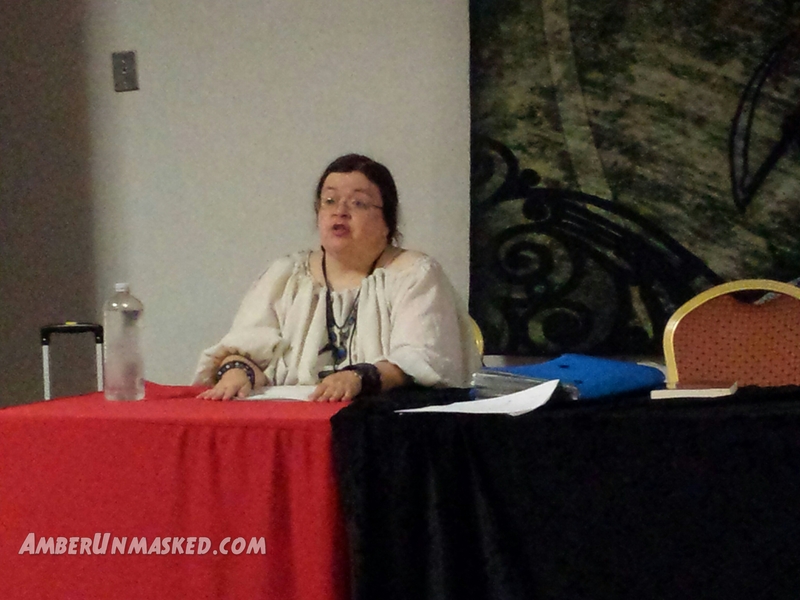 When she introduced herself as “Cathy Kane” I wrote it down misspelled as “Kathy Kane,” and thought, “Woohoo! Batwoman is also a palm reader! She should totally partner up with Madame Xanadu!” Well, my fangirl dreams got back on track to the subject at hand (pun not intended). Kane has over 45 years of experience and has written six books; her Adventures in Palmistry was her first. Kane’s interest in palmistry began in her junior high years. She described herself as a shy girl who found palmistry as a way to break in socially and meet people. She said it was her way of talking to boys, but then found out she was really helping people with her craft. Like a ventriloquist who finally puts their dummy down and speaks on their own, Kane found greater confidence in herself socially and didn’t need the crutch of palmistry to make friends. Whether you choose her book or someone else’s, Kane said they vary; the important thing is that you find a first book that speaks to you and then only move forward with other books that support the findings in that one. It’s normal for scholars to disagree and contradict one another. Kane emphasized that people do have free will. If that seems impossible from a psychic who can read your future in your palms, she backs her beliefs up by saying the lines on hands change. The basic subjects people want to know about in their lives are: the past, present, future, love, money, and what they are good at (strengths/weaknesses). If you take on the role of the reader, Kane explained that you must abide by ethics and explain to people that they are in control of their choices and have free will. They also do not have to believe what the reader is saying. 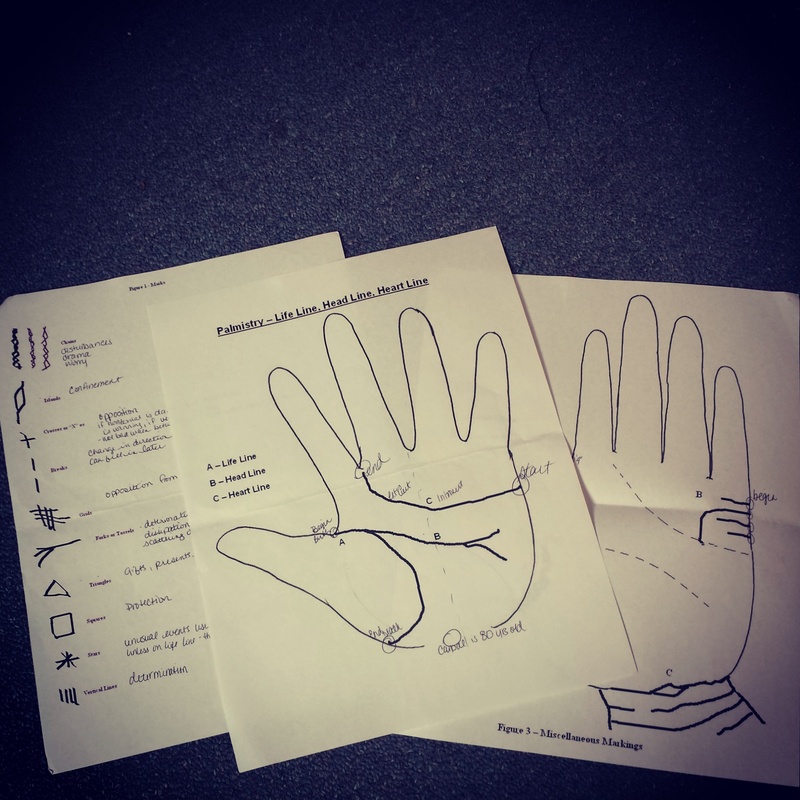 Kane took the bulk of the time to distribute handouts with images and notes and then go over basic palmistry points. She reviewed the three main lines of the palm: heart, life, and head. Then she referred back to the examples of line patterns and explained what they mean on each of the three main lines. “Island” patterns in the head line (the middle of the three), for example, mean a person needs encouragement to move forward because they feel trapped/immobile/stuck. If the head line has a strong downward curve, it means the person is more intuitive and creative; whereas a head line that is more horizontal across the palm indicates someone who is logical. I’ll admit there was one point in the instruction where I got quite choked up. I doubt I was the only one. Kane said that if the life and head lines are connected at the beginning (nearest the thumb), it indicates a strong familial bond with the people who raised you. There were only a few of us in the audience who didn’t have these lines connecting. Kane said it’s a sign the “family” that was around you while you were growing up will never accept or understand you. Dead on for me. I’m pretty sure my mother is the only leaf in my entire family tree alive that actually likes me as a human being; my grandparents did too, but they’re deceased. With these lines not connected, Kane said it is important to be yourself. Another part that was particularly fascinating was when Kane showed us where the “writer’s fork” is. Not everyone has one. I do. I suspect a lot of people, if not most do, but I haven’t made looking at palm lines a lifelong study. The writer’s fork is when the head line branches off. Mine completely splits off showing it’s not connected to the head line at all at the beginning but then it gets very deep to the point where my right palm has four strong lines not three. 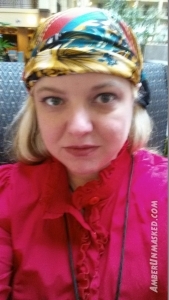 My left palm is quite different; that’s where my life line has a deep split and the writer’s fork off that head line is faint and looks like a linked chain. I hope my writer’s fork also includes a literary agent line and a successful publishing line, because I’m already over 40. It’s all quite interesting to observe in a Sherlock Holmes kind of way. Why don’t our sides match? I knew that human sides were different from having done art class assignments – splitting a person’s face and then drawing the sides equal doesn’t represent the real face (easy to test out in digital images and using the mirror/transform functions). If you have two hands, they are different hands not mirrors. After that example, Kane talked about the heart line (the top of the three lines near the fingers). She went into the basics about the depth of the line and how feathering patterns or chaining patterns show a person who expends a lot of energy worrying and being stressed. Kane utilized an extra five minutes before the next speaker needed the room. She quickly explained the thumb chain (stubbornness) and significance of the thumb’s flexibility. If it’s not flexible, one needs to get in touch with their true self and true mission, not focusing on fads or trends. I loved this presentation. 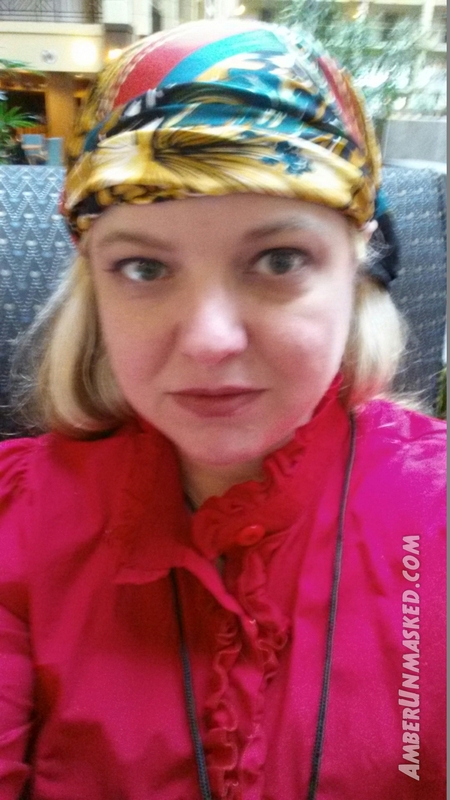 I can’t speak for every attendee of the SPWF, but occult and paranormal studies have always been part of my life with only certain breaks in my lifetime. Whether it’s a true belief – an unquestioning faith – or more of a scholarly interest and fascination, I can’t remember being completely without occult lore. I had to keep it to myself for a while because of people around me, but I think that happens to a lot of folks. Kane gives a wonderful presentation. She’s prepared. She interacts with the audience easily. She had a welcoming, positive energy. I highly recommend that if you get to see her, to try and do it. 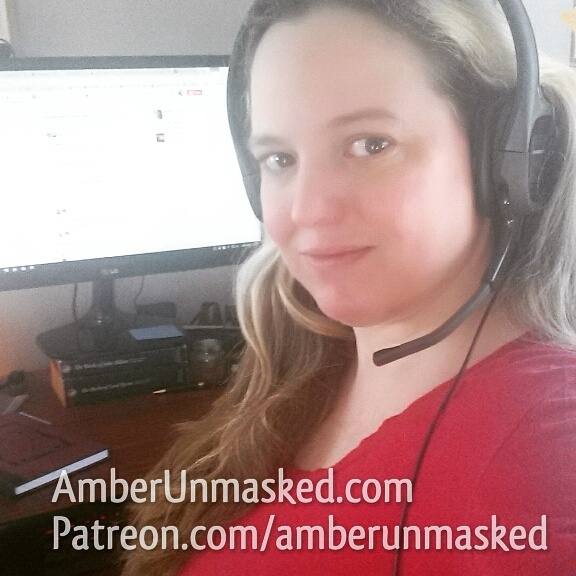 If you appreciate this kind of coverage and geekery from AmberUnmasked.com please consider backing at Patreon. It’s an interesting subject. 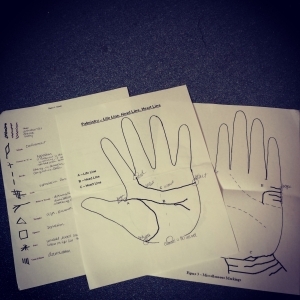 I don’t know much about palmistry, but I find the history around it fascinating.